Make a soft dough with the help of maida and milk. take 2 tbs oil in a pan. Add jeera. When it changes its colour add grated coconut. cook for 2 min then add finely chopped tomatoes, onion,potato, carrot, bell pepper & coriander leaves. cook for 5-10 minutes. when it is done remove from the gas. set it aside to cool for 10 minutes. when it cools down grind it in for 2 minutes in mixer grinder. Take one flatten with your palms. Bake on tava using oil on both sides. 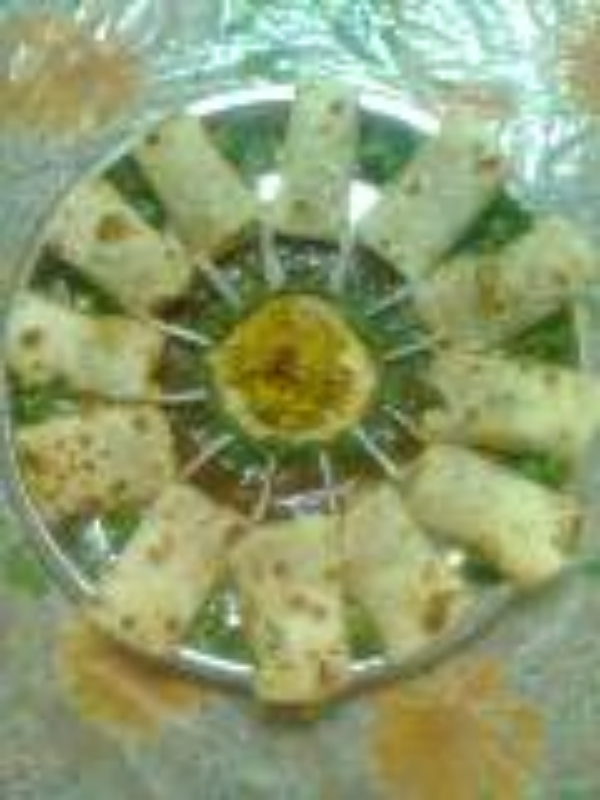 when it is done put the paste between it and roll it like a mattha parantha. cut it from between in equal sides. Do this with all the dough. Serve it hot with red and green chilli sauce. Garnish with coriander leaves and coconut.